I have a brand new natural skincare DIY post for you all as the team behind the Love Fresh Berries Winter campaign - Berry Beauty - have given me three DIY berry face and hair masks to try. The recipes have been created by dermatologist Abigail James and feature different types of delicious berries that all have amazing benefits for your skin. There are two face masks and one hair mask that are made with all-natural ingredients that you'll probably be able to find in your kitchen cupboard already. This mask is suitable for all skin types, however Abigail James has specifically tailored it to be suited to skin that might be prone to spots, breakouts and blemishes which is perfect for me so naturally I tried this one first. Blueberries contain salicylates (the salt aspect of salicylic acid), a widely used antibacterial ingredient found in many skincare products to target spots, large pores, acne and general breakouts. Blackberries are particularly high in Vitamin A which is an essential vitamin when treating breakouts. High water content also adds hydration to the skin without contributing extra oil and their amazing blend of minerals are great for problem skin (especially zinc). Honey has antifungal, antibacterial and anti-inflammatory effects whilst cinnamon has antibacterial and soothing benefits. Green tea is included for its really high levels of antioxidants and soothing properties. Natural yogurt is used to help restore the skins flora and acid & alkaline levels. Boil the kettle and steep your green tea bag (white tea is also an option). Place all the other ingredients into a blender. Remove the teabag and cut open, add the tea leaves to the ingredients in the blender. Blend for 15 to 20 seconds. This mask is a little runny in texture, so I found it easier to apply with my mask brush (you can also use a foundation brush or an artists paint brush). Apply one layer evenly over the face, it will tighten slightly on the skin as it dries so you can apply a second and even third layer. Leave to dry for 5 to 10 minutes. Remove with a with a warm flannel or cloth. As it has a strong colour it does require wiping off a few times with the flannel - I'd recommend using a dark colour flannel to avoid stains. I tried this mask first and I was really impressed. I had a small spot on my chin and this mask bought it out into a whitehead straight away so I was able to cleanly pop it and it completely disappeared. My skin was red for a little while but that went down after using another mask afterwards and it did soften and brighten my skin too. I loved the scent of the cinnamon coming through in this one! This recipe is to create a hair tonic mask for healthy hair and scalp. Use strawberries for their naturally high Vitamin C content and supporting iron absorption for healthy circulation, along with natural silica for healthy hair growth. Olive oil is included to nourish the hair and scalp whilst egg white is full of natural proteins and great for giving hair a natural shine. Plus, it helps support the scalp preventing excess oiliness. Apple cider vinegar is perfect for giving the hair a glossy finish and supporting scalp health. Honey strengthens the hair follicle and rosemary (picked fresh from my garden) stimulates blood flow for a healthy scalp - I use a rosemary shampoo all the time so I know it has great benefits for your hair. Blend all ingredients together thoroughly for 20 to 30 seconds. This can be a little messy to apply so best done in the bathroom over the sink. Apply to dry hair; start in the middle of your hair at the root and apply small amounts down the parting. Massage in, then separate the hair and continue to apply all over the scalp massaging in each time. To cover the back of the head it is best to hang the head over the sink. Then, apply whatever is left and massage this to the lengths of your hair. Give the scalp a good massage, pile your hair on top of your head and leave on for 20 minutes. I found using a clip to hold it all up was best. Thoroughly rinse off then wash with your normal shampoo and a very small amount of conditioner. I found this one a bit difficult to apply as it's very runny. I found that it was best to just slather some on my hands, not too much and then press my hands onto my hair. If I put too much on my hands then it just fell off when I tried to tilt my hands - definitely best to do this over the sink, bath or in the shower! I left this on for around 20 minutes whilst I made the final mask and then washed it off in the shower with two rounds of shampoo. I found my hair to be less knotty and I didn't need to use conditioner. It was quite messy so probably not one I'd be desperate to try again but it did leave my hair looking shiny and soft. This mask is the perfect blend of ingredients to brighten your skin thanks to the Strawberry AHA (alpha hydroxy acids) which has a brightening and exfoliating effect. There is an amazing blend of antioxidants from all the berries especially with the high levels of Vitamin C and A. There is also Vitamin K for supporting blood vessels, an amazing blend of essential minerals for skin health, notably magnesium, zinc and potassium. Oats give a soothing and healing benefit when applied topically to the skin, honey has incredible anti-inflammatory, anti-fungal and healing properties, and natural yoghurt is added for its probiotic effect balancing the skin acid alkaline balance and it also has soothing benefits. Coconut oil acts as a beautiful skin hydrator as it's nourishing, anti-inflammatory and is packed with vitamin E.
Place all ingredients into a blender for 20 to 30 seconds until all ingredients are thoroughly mixed. Apply with your hands (it can be a little messy). Natural fruit acids in this mix may cause a mild tingling sensation. Massage over your face and neck, working the mask into the skin to activate the exfoliating properties, avoiding the eye area. Leave on the skin for 5 to 10 minutes, remove with a warm damp flannel or cloth. I used this mask after the balancing & brightening mask which had left my skin a little red and it was lovely and soothing, but it also softened my skin and left it looking brighter and clearer. It was easier to apply than the hair mask as it was thicker and I even made my husband use it afterwards as I had some left. I would definitely try this one again if my skin was looking dull. Overall I had a lot of fun creating all of these berry masks. The face mask recipes make enough for more than one mask so I'd say pop out and get your ingredients, get the girls round and have a fun night in with some berry masks! Welcome to my annual natural and organic Christmas Gift Guide! This year I have a lovely mix of skincare, beauty and candles to share with you. They're all from natural, cruelty-free, eco-friendly & ethical brands that are firm favourites of mine or amazing new discoveries! Lyonsleaf have redesigned their gift sets for this year and I've got three to share; the Hot Cloth Cleansing Kit, the Face & Body Set and the Mum & Baby Survival Kit. They all come with a white flannel inside, as well as two or three miniature products. They all feature their cult product, Beauty Balm, then the Face & Body Set has a Body Butter, the Mum & Baby Kit comes with a Zinc & Calendula Cream and Calendula & Marshmallow Balm and finally the Hot Cloth Cleansing Kit comes with two cotton muslin cloths. These sets will make great stocking fillers and they're a lovely way to introduce someone to Lyonsleaf - a well-loved brand in the green beauty community! 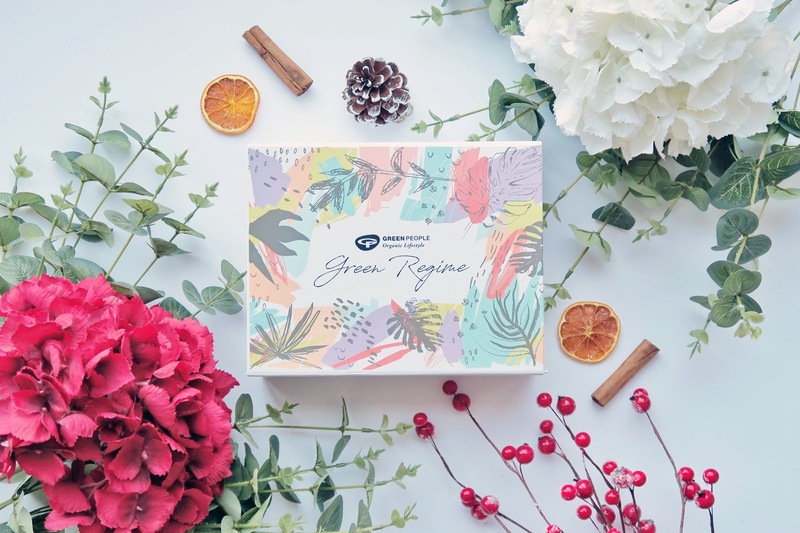 Myroo have had a gorgeous packaging makeover since I featured them in my last gift guide and a lovely selection of new products in the range. If you've not heard of Myroo before, they're a natural skincare brand aimed at those with sensitive, allergic and problem skin. They're free from gluten, nut & dairy ingredients and a lot of the range is also fragrance free. Two new body products to the range are the OM Oil which is perfect for post-exercise and the May Chang Body Polish which is a lovely salt scrub, ideal for dry rough skin. The oil is multi-purpose and can be used in the bath, as a body oil or for massage and is a gentle blend of Safflower, Jojoba & Rosehip oils. The perfect gift for gym bunnies! The body scrub gently exfoliates while nourishing and soothing the skin with Safflower Oil & Calendula Extract. Use these two together and you'll have soft, nourished skin all throughout the colder months! Naked Pinecone are an online eco, natural & cruelty free skincare boutique who stock a range of brands. They have curated some amazing travel packs that are perfect for weekends away or holidays. Their Weekend Retreat Kit has three full-size products for the perfect girl's weekend or pamper party. A clay face mask, salt body scrub and indulgent face cream...get the girls together and start pampering! All of the Naked Pinecone eco-friendly travel pack ranges contain either plastic-free, biodegradable, recyclable or reusable packaging so you can head off on your travels safe in the knowledge that you are not harming the environment. They have luxury kits, backpacker bundles and ones for men too - something for everyone! Unearthd.co are a new brand I've recently discovered - sister company to well-known natural beauty company, Naissance. Two of their newest launches are Cosmos certified organic products that work well on their own but even better as a duo. Face the Day is a lightweight day serum that has organic Moringa oil and Blue Oleactif® which is clinically proven to protect and repair skin damage caused by blue light and pollution. It's nourishing, protecting and anti-inflammatory to help create a barrier against pollution and the blue light from the devices that we all love so much. The second product is the Sleep On It night serum which is aimed at reducing redness. It's a nourishing & soothing blend of ethically sourced plant oils, with bioactive ingredient Diam Oleactif® which is clinically proven to help reduce redness caused by inflammation and skin sensitivity. I don't know about you but using these two products in the day and night sounds like they'll help to solve most of my skin problems! Use code XMAS10 at checkout for 10% off your first order. JECCA Makeup are a new brand, created by make-up artist Jessica Blackler. JECCA’s first product is Correct & Conceal, a colour corrector that offers long-lasting, full coverage for flawless skin. The brand is cruelty-free, vegan and unisex. Jessica recognised the lack of dedicated trans makeup services and as a believer in the transformational power of makeup and that everybody has a right to feel fabulous, she saw a big opportunity to apply her skills from the media industry to help the transgender community. The palette has two shades - a colour corrector and a concealer. You can use both together to reduce the appearance of dark circles and imperfections or use the concealer on its own to mask blemishes. There are six shades available and the palette even works to cover birthmarks, acne and beard shadows, meaning it can be used by all. JECCA donates 5% of their profits to Stonewall, an LGBT charity. Lucky Cloud are an Edinburgh based botanical skincare brand & all of their products are natural, vegan and cruelty free and include balms, body butters, facial oils and lip balms. New for 2018, Lucy has created two eco candles using soy wax, essential oils, wooden wicks and sleek white reusable glass jars. There are two scents to choose from - Peace, a blend of cedarwood & patchouli or Restore, a blend of rosemary and mint. My personal favourite is the Restore blend as it's lovely & uplifting and both essential oils work to cleanse the air, aid concentration and stimulate the mind. I especially love that the candles come with a lid, so the jar can be re-used when the wax has burned out and the crackle as the wooden wick burns is a beautiful feature. Thank you so much for taking the time to read my gift guide! Don't forget to share with your friends and family - it's a great way to ask them for a natural & organic gift for yourself! *This post is sponsored by the brands involved and contains affiliate links. Every year I see more and more brands creating beauty advent calendars for Christmas, however there aren't many in the natural and organic world. 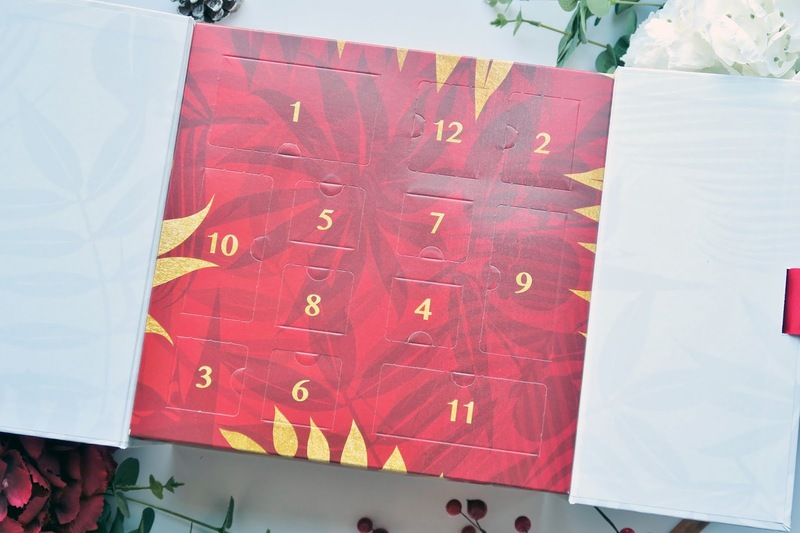 However this year I have discovered a few natural and organic beauty advent calendars and managed to get my hands on three to share with you! 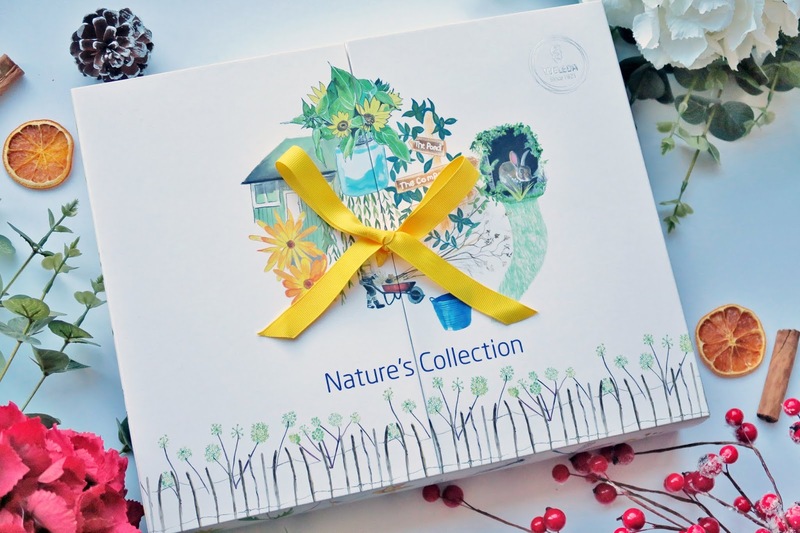 Green People have launched their Green Regime Calendar which is full of natural beauty must-haves for the run up to Christmas. It's the first ever advent calendar from Green People and costs £75 however the contents are worth £125. 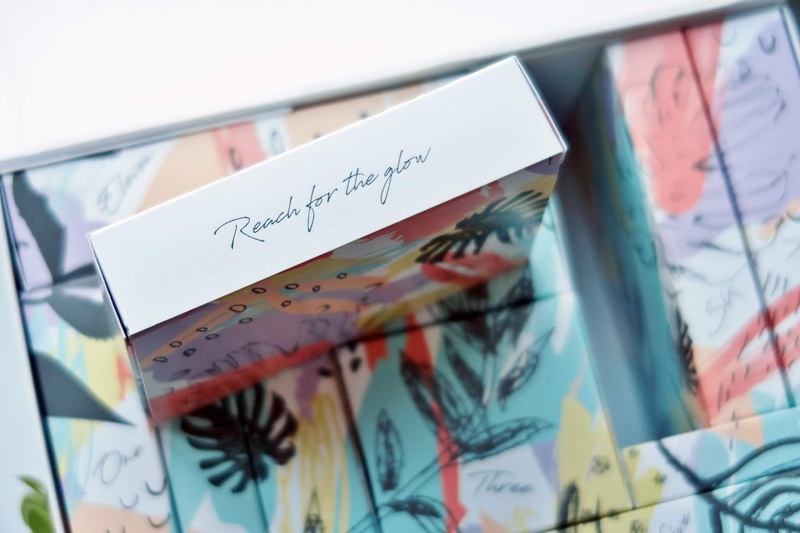 There are 12 "doors" to open with 15 pampering treats, including 3 full-sized products, with a mix of skincare, body care and natural makeup products. 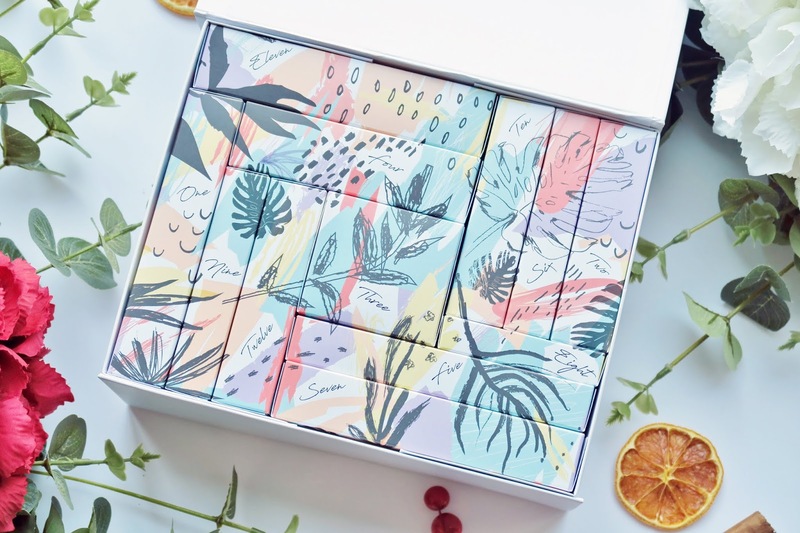 The Green People calendar has a different but lovely format - the 12 boxes filled with products fit perfectly inside one larger white box, with a pretty pattern forming on the top. Products that aren't full size range from 5ml to 30ml. Boxes also have a little hint as to what's inside on the opposite side to the pattern. 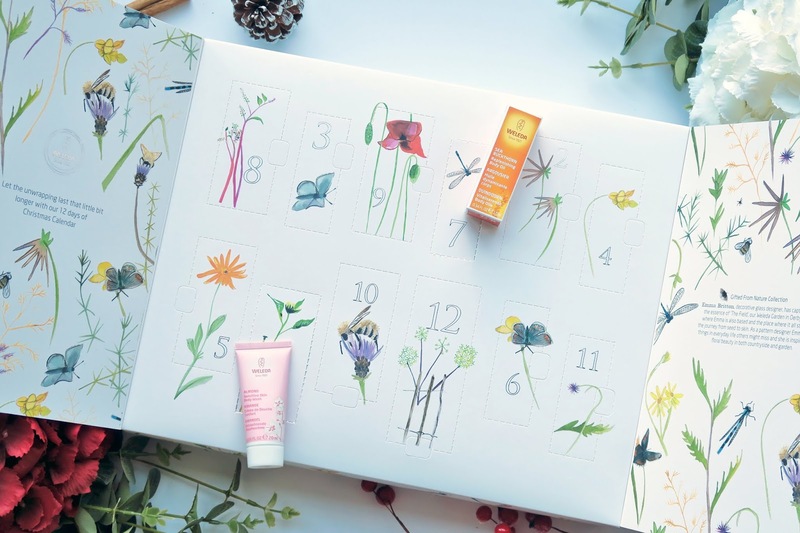 Weleda have created their Nature's Collection Advent Calendar, featuring 12 products to be enjoyed between Christmas & New Year. It's beautifully designed with illustrations by Emma Britton, who has captured the essence of The Field, Weleda's 13 acre gardens in Derbyshire. The calendar features so many details of the Weleda gardens (which I've visited and are absolutely beautiful!) - from the delicate wild flowers and the wildlife it attracts, even down to the Bee Shed! Behind each door are 12 coveted Weleda treats to brighten up a dark & wintery time of year - including body and face products to indulge in over the Christmas break - keeping the spirit of Christmas going that little bit longer. The calendar is the lowest price of the three at £34.95, and contains 12 sample/trial size products between 7ml and 30ml. 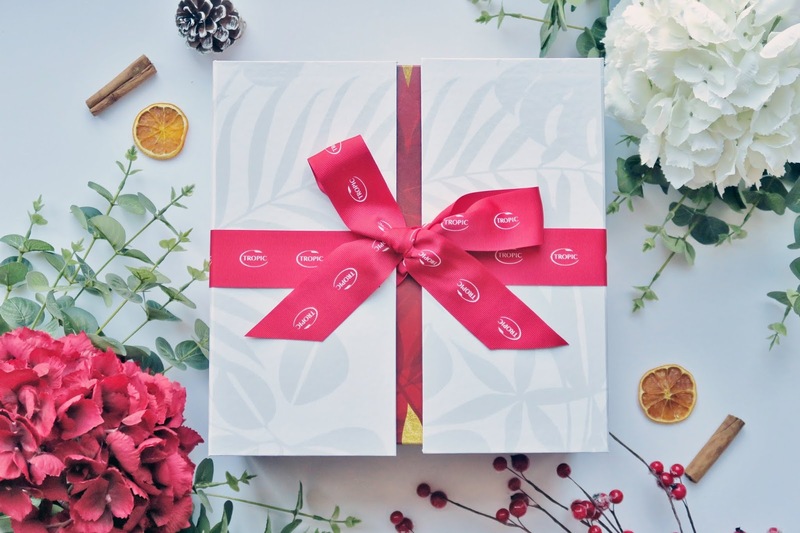 The most recent release is the 12 Days of Tropic Christmas Gift Collection. The priciest out of all three I've spoken about at £100 however the products inside are all pretty good sizes ranging from 4ml up to 50ml. Behind each door is a treat (or two), for each of the 12 days of Christmas - start on Christmas Day and enjoy into the new year. The festive collection is a selection of Tropic's bestselling, multi award-winning and most loved products. The packaging for Tropic's is probably the fanciest out of the three and could definitely be re-used or upcycled for use over Christmas & years after. I didn't open all the doors but the ones which I did all had cute drawstring bags housing the products. I'd say that Tropic's has the most variety in terms of products inside as it has 14 products ranging from skincare, body care, hair care as well as makeup. There are two others available - Dr Hauschka and Holland & Barrett. 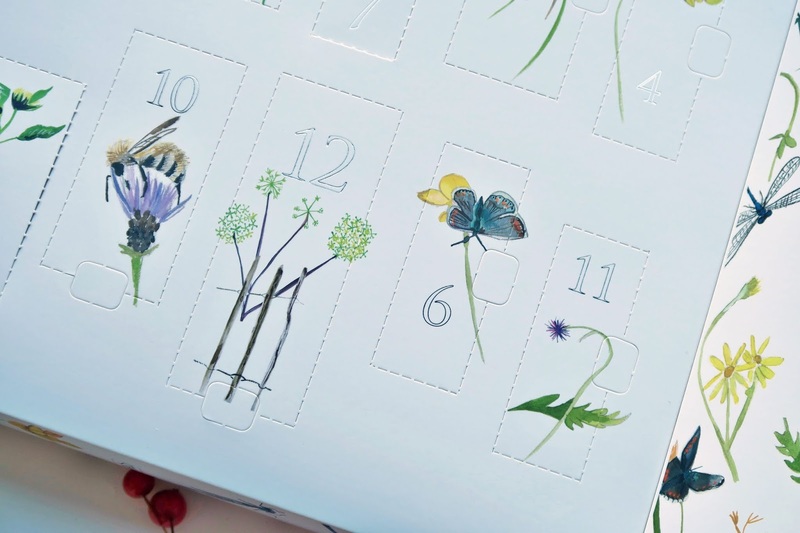 Will you be getting an natural beauty advent calendar this year? I'd run out of deodorant and fancied something new so I decided to go back to an old favourite - The Natural Deodorant Co. I ordered the Manuka & Vanilla Sensitive Deodorant and also got a sample of the Active Bergamot & Lime one too. Unfortunately the sample of the active one didn't work as well for me as the sensitive one does, strangely enough! I took the small pot with me to Manchester and we walked over 18 miles in two days but unfortunately it didn't seem to keep me smelling fresh...I think because it's a thinner texture, so I'll be sticking to the Manuka & Vanilla one as I've been getting on really well with that one. Flower & Spice are a Formula Botanica graduate brand, created by Karmen, who got in touch to see if I wanted to try their Serum which I've been using for the last week or so. They also sent me a couple of samples which I've not had a chance to try yet but the serum/oil is lovely and light. I'll update when I've been using for a little longer and had a chance to try the samples. A brand I've seen around for a while but never tried anything from is Lani. 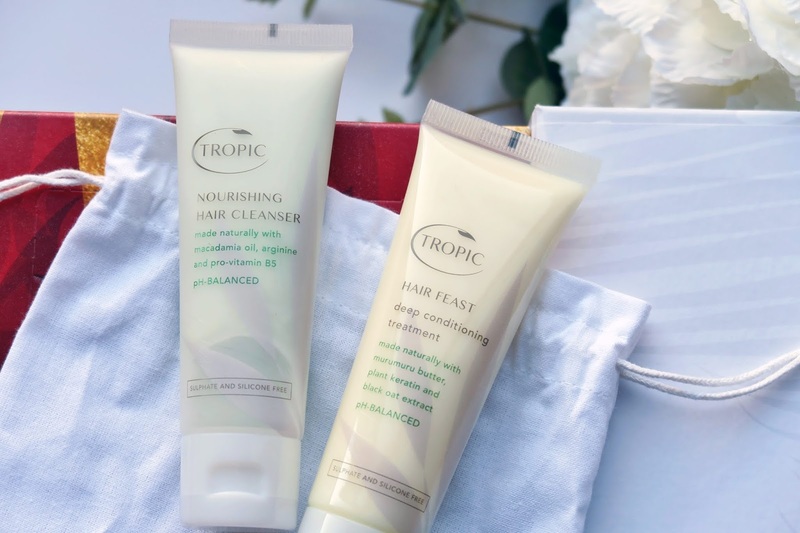 Their founder Viola recently sent me a few products to try - the Tropical Coconut Face Polish, Tropical Hair Treatment & the Tropical Cacao Detox Mask. So far I've tried the cacao detox mask and it's so, so nice. It instantly smells of chocolate when you add water and it turns into a mousse-y consistency which is different to any other clay masks I've tried. I recently saw a campaign on Instagram for the new Loadsa Honey Face Wash from Beauty Kitchen and they very kindly sent me one along with a few other products from their range! The face wash is quite runny, so I've been using it when I'm in the shower. Another product I've been enjoying is the 5 Minute Mask. It's a nice creamy mask that I've been using if my skin feels dry or I have a bit of redness on my cheeks. A new release from Evolve Beauty are the Superfood 360 Serum & the Multi Peptide 360 Moisture Cream. Both are targeted towards anti-ageing using sacha inchi & cacay oil to moisturise and firm the skin. The cream is for dry skin so I passed that onto Paul and I've been using the serum. So far so good, it does have a serum texture which I like and I notice my skin looks plumper in the mornings after using overnight. Paul's also been using his and hasn't gone back to his Nivea (gross!) so that's a good sign! 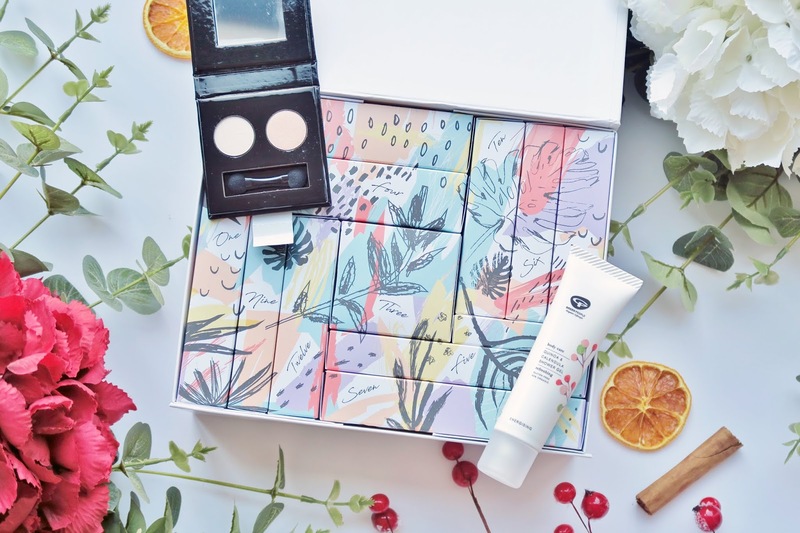 Now onto two blogger related things...I saw that Ana from Ana Goes Green was collaborating with The Natural Beauty Box on their September Box & I knew it was going to be great so I bought myself one before they sold out! It featured all Soil Association certified products to celebrate Organic September and had products from Tabitha J Kraan, Pink's Boutique, Greenscents, Odylique & Herbfarmcy. A lovely choice of products by Ana! Fellow natural blogger Louise from Beauty Bank has set up her own online store called That Natural Hygge. She's stocking a range of natural skincare from brands such as Alteya Organics, Bodhi & Birch and Isun, whilst also stocking a lovely range of candles and bath products. Louise & I did a little small business swap so I sent her a few Nectar & Bumble products and she sent me some TNH treats! I've been using the Alteya Rose Jasminium Toner which is really nice and refreshing and the candle smells amazing too!